On occasion, the need to have a “snack” rears its head in our household. There are many things we can snack on while on a paleo diet. 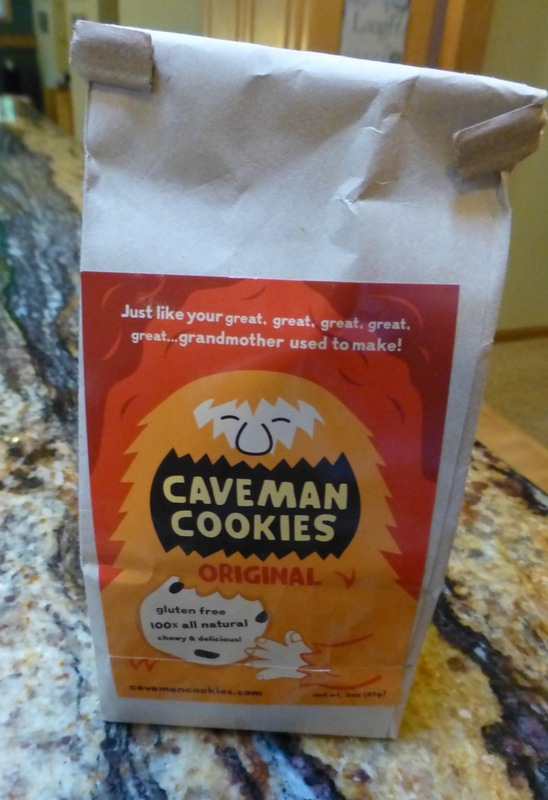 This time though, our choice was a Cave Man Cookie. These cookies can’t be readily found. I was able to find them at a health food store called Tailor Made Nutrition in Woodbury, Minnesota. This package has six cookies and each one is individually wrapped so they stay “fresh” even when you open the bag. 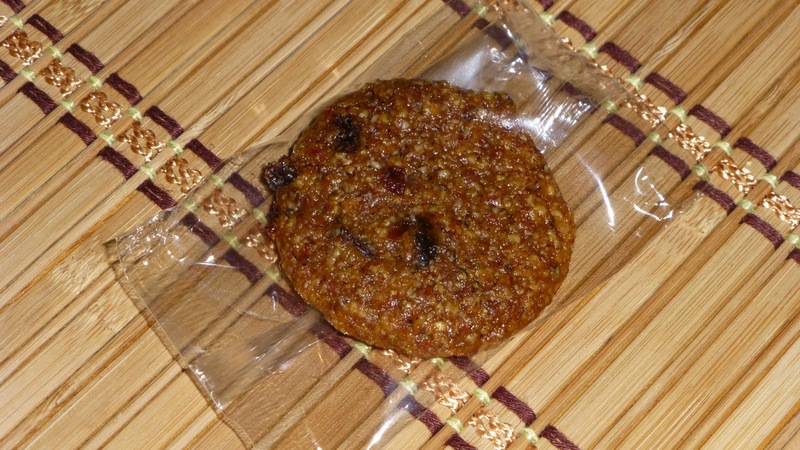 They DO NOT taste anything like a “regular” cookie as they use honey instead of cane sugar. They are about the size of a Chips Ahoy Chocolate Chip Cookie. The texture is soft and kind’ve gooey but not in a bad way. I really like them. 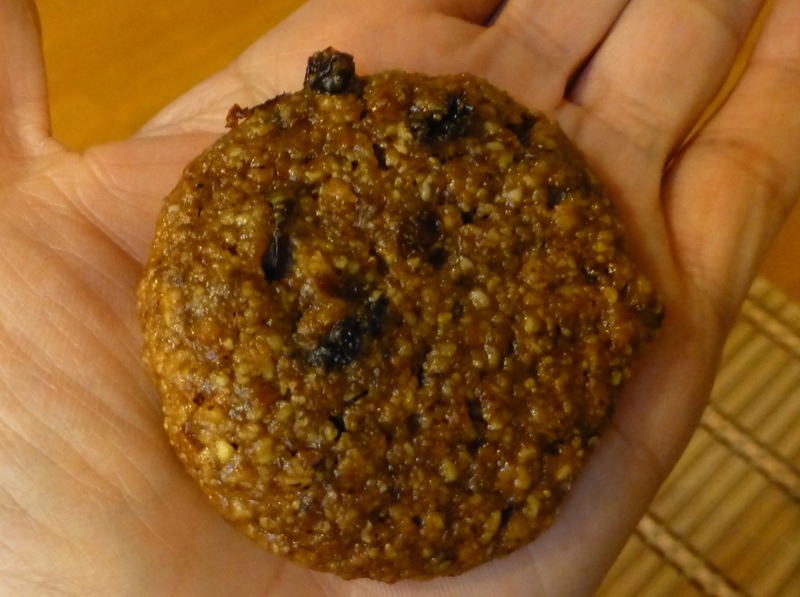 One cookie fit in the palm of my hand. The first time I tasted them I thought they were a little bland. But, by the second batch (yes, I went back for more) I had already grown accustomed to them and like them quite well. Alas! They are a bit pricey — $4.29 for 6 cookies. I guess that’s not too bad considering you can get a cookie at Starbucks for $2.50 or so and, although it’s bigger, it’s not as healthy. So — perhaps a once or twice a week treat is enough, eh?